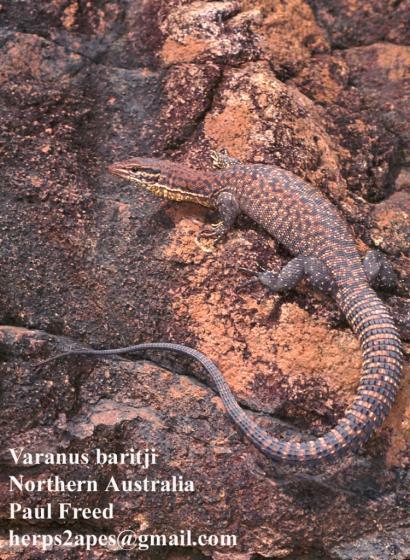 Can you confirm these amateur observations of Varanus baritji? Type locality: Mirrngadja, Arafura Swamp, Northern Territory, Australia, [12º39'S 135º12'E]. Types Holotype: NTM R13192, female. 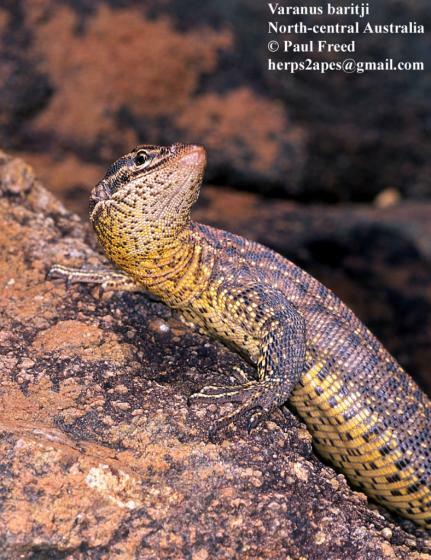 Etymology “baritj” is an aboriginal word for white and the lizard is named after its discoverer Dr Neville White. Eidenmüller, B. 2003. Warane. Lebensweise, Pflege, Zucht. 2. Aufl. Herpeton Verlag, Offenbach, 174 pp.